Got Art? Have you done art estate planning for where your art collection? Make an Inventory-Create a complete list of art in the estate, purchase dates (before or after marriage/divorce). 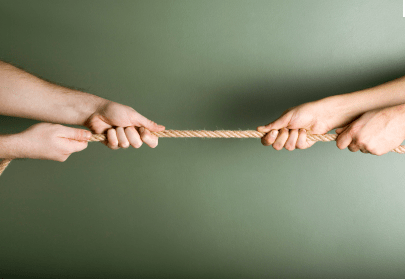 Hire an Appraiser -Better to agree on one appraiser for all parties involved to avoid discrepancies, further debate, and additional fees). Sentimental appraisal is quite different than an official appraisal, based upon market value and demand, etc. Art Estate Planning -Collectors should specify where they want art work to go and to whom as part of their estate planning or will to prevent costly legal fees, time consuming litigation, and ease the process for finding a home for their beloved works. Calling dibs, is not enough. Verify that the recipient or heir will accept your gift as well as the potential tax burden. Security First -Secure the works of art in a safe place to prevent theft, movement, or damage. In the event of probate court, climate controlled environment might be needed to protect the works, as the probate court process can take many years. Plan Ahead -Art should be included in your estate planning, in particular for tax purposes and heirs. Selling and Gifting -Careful attention needs to attended to where the art work will go after the collector’s death (family, heir, museum, non-profit, charitable organization, etc). Gifts to non-profits can be donated over a period of up to 10 years allowing the donor to utilize tax deductions. A personal gift can be given up to $14,000 before it must be reported , in this case the art has to be physically transferred to the recipient. Art may also be placed in a tax exempt charitable remainder unitrust, where the collector sells the the art and receives distributions for the rest of their life at the regular income tax rate, rather than having to pay capital gains taxes of 28%. After the collector/donor’s death the remaining distributions from the sale will go to the designated charity. The Degas/Cassatt exhibition curated by Kimberly A. Jones of the National Gallery of Art is a wonderful marriage of art, science and friendship. 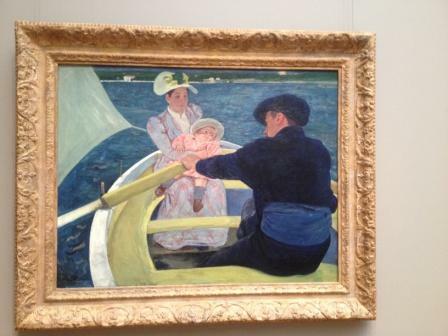 Both artists, Mary Cassatt’s and Edgar Degas’ artwork are on display at the National Gallery of Art in Washington, DC thru October 5, 2014. This exhibition perfectly demonstrates of how artists collaborate and coach each other, while still staying true to their own aesthetic. We also get to see their process of sketching and trying variations of poses and editing details until the final version is achieved. 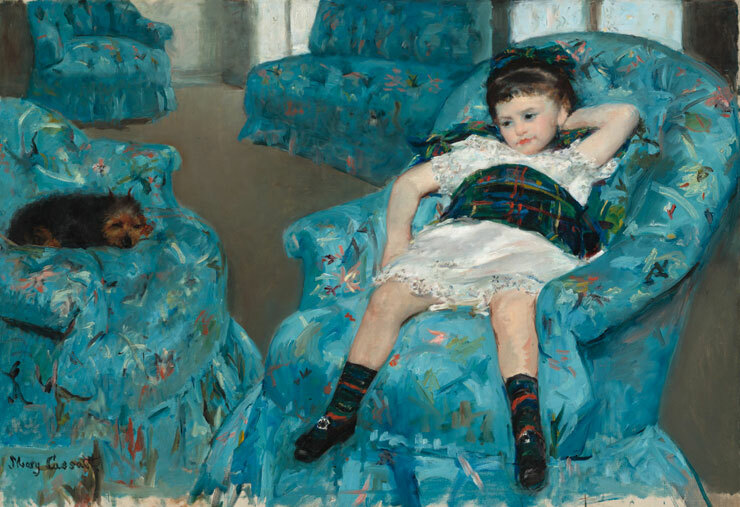 Cassatt’s “Little Girl in Blue Armchair” is vibrant, well executed, and invites us in. We are drawn in and allowed to wander the painting and create our own story. What are the measurements of the wall space? How heavy is the piece? Does the artwork already have wire or wall mounting mechanism on back? What is the wall made of (drywall, brick, wood, etc.)? What type of mount or hanging system will be used? How much traffic will this area get? What type of lighting is there (direct, indirect, sunlight)? What room or area do you want to hang this artwork? What is the theme of the artwork? How many pieces of artwork do you want to hang? Do you need to worry about safety and security of the artwork, such as earthquakes, kids, food splatters, theft, etc)? Top 10 factors that can make or break an art fair or art festival? Artists must help support the inherent value of their work, as well as help to build it and increase their collectors’ investments over time. When artists make signs to discount their work, like making a bargain bin…it directly affects every artist at that art festival and those not even present. It makes the art market or festival become a garage sale or bartering event. It changes the climate from collect to “Lets Make a Deal” mentality. Independent artists and those that are represented by galleries and/or art consultants do not want art work to be devalued. Posted in Art Festivals 101	Tagged with: art festivals, art festivals 101, art of selling, discounting your artwork, FIve Questions Every Artist should ask themsleves, how to price artwork, Let's Make a Deal, selling your art work, should artist discount work, Why is my work not selling? Art festivals are a buffet of art: various sizes, mediums, prices, and creators. Those that attend art festivals know this. The experienced shopper can buzz through know where to return and DECIDE to purchase or not before its gone. But how do you get that extra look or glance or return visit?…..
As artists we create work, however we need to look at our booth as a composition in itself. Making our work look good, giving the eye a sense of movement through the booth, a break or respite for all the stimulation are all keys to a strong composition. Many artists simply ignore the power of this composition and slap a bunch of work up on the tent walls far too quickly. For many artists, hanging the work takes longer than assembling the tent and hauling all the stuff. Presentation is a crucial step in selling the works. It might take some time to hang it, it is part of the process. Consider the time and effort it took in creating, mounting, framing, wrapping, and transporting the art works! What are other mistakes in presentation that you have seen at art festivals? What are some observations or examples that made a booth’s presentation amazing? n. One that keeps guard; a sentry. 1. To watch over as a guard. 2. To provide with a guard. 3. To post as a guard. 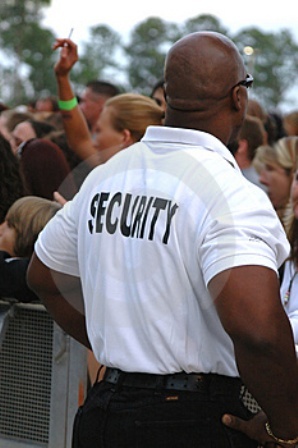 When exhibiting or selling your work and wares at an art festival or show it is important to NOT be a “booth sentinel”. These are the folks that are parked out front of their tents and booths that look a bouncer for a party. They scare potential visitors and buyers aware. It is too intense and intimidating for a booth guest to even come in and look even if they are dying to come examine your work up close. It is hard to maintain a sense of spaciousness in a 10 by 10 foot square booth, however it is possible. So when you are exhibiting your work at an art festival keep in mind; your personal space, body language, and maintaining some space for guests to come in. They don’t want to be preyed upon or attacked the minute they come in. Give them some time to look, if they look longer then you know they are truly interested in your work and when they are ready approach them. It is all about observation, just like when an artist creates they have to be observant. Selling is an art. The selling artist must be aware and respectful to thier audience. Here is a list of “Things to Bring to an Art Festival” if you are setting up your own booth that I continue to tweek as time goes on and the more shows I do. I am always learning. This list is quite lengthy, so beware. What else do you bring or think would be good to bring? As an artist that does outdoor art festivals as well as juried exhibitions and shows I have learned a lot through the process and continue to learn. I started to notice that there are few “how to books” or classes on art festivals. I have read many art marketing, marketing, and the few art festival books that are out there. But there is a great free classroom that awaits you if you are willing to go and observe. As I continue to do art shows, I seem to be getting more questions from fellow artists about shows, technical aspects of doing shows, etc. Like I said I don’t know it all and I am still learning even after doing this for a few years. So with that I decided to write about the art festival lessons learned etc-for my sake and hopefully for yours. Do you like to talk with other people? Have you attended these shows? Do you know of some local art shows? Can you talk about your work comfortably? Do have enough work to have a booth in a show? Do you have a body of work that has some consistency to it? Do you know how to submit to get into a show? Do you have equipment or access to it: booth/tent or could you borrow or rent one? Do you have access to a vehicle to transport all the stuff and work you will have to bring? How will you display your work? How much do you need to sell to cover your costs and make a profit? Art shows are much like going camping with a large group who doesn’t want to bring anything so that you have to pack everything needed for everyone, including some fragile items. Now if this doesn’t scare you off, keep reading as maybe art shows are for you. If you hate camping and uncertainty this is not for you. Now these are some serious questions I have listed above. But I do think an artist needs to be honest when answering these questions. Question #1 asks about your comfort level of verbally communicating with others. If you don’t like socializing with others and talking about your work, perhaps you should consider another venue to sell your work, like a gallery, online, or consultant. Outdoor art festivals are very enjoyable for those of us who like to interact with others and showcase our work, inspiration, process, and really sell ourselves in a way. I recommend attending some art shows as a visitor first. Make observations as well as participate by having some conversations with artists directly. How do they strike up a conversation with a total stranger about their work? Did they engage you? Can you see yourself doing this? Over and over again? Go to a number of shows on good and bad weather days to see how life as an art festival artist really is. Go early in the morning during set ups and watch. You will learn a lot, about festivals, artists, and how passionate you are about selling your work directly to the public. Take notes of what you see, hear, and feel at each festival as well as your impressions as you will use these later in this series about Art Festivals 101.